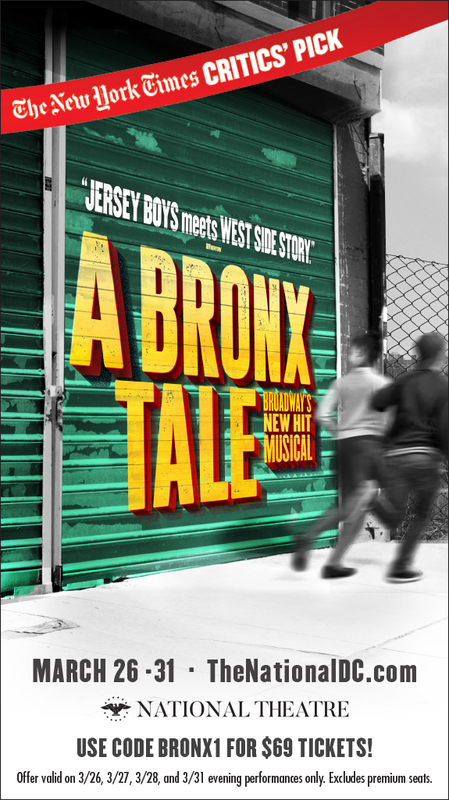 Theater Call: tix to DC’s “A Bronx Tale” $69 for 4 days! For opening night tomorrow (March 26th), Chazz Palminteri, who wrote the play about his life and starred in it on Broadway, will be in attendance to kick off the run at The National Theatre! Enough exclamation points? NO!!! This entry was posted in THE Theater and tagged National Theater, Theater. Bookmark the permalink.